They are the trousers of rock stars, of the authors of the Beat Generation, of sexual freedom, and revolutionary leaders (since the times of Garibaldi). They are the opposite of ephermal fashion: the older they get the better they are. They are the opposite of class conscious fashion: monarchs wear them to look like the working class. They are the opposite of “plastic beauty”: making all bodies fat or thin, tall or short, young or old more fluid and spontaneous. 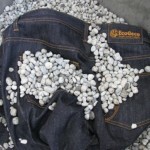 But nowadays jeans are very polluting and globalising. 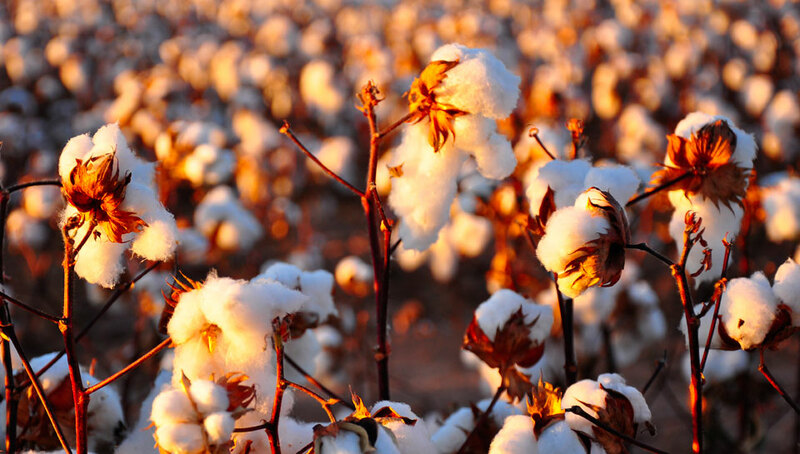 25% of pesticides and 12% of insecticides are used worldwide in the cotton production. To produce one pair 1100 liters of water are necessary. Your skin is in contact many hours per day with the chemical substances of which jeans are imbued: dyes, starches, aging substances….often they are suspicious and uncontrolled molecoles; in the meantime allergies, irritations and contaminations continue to increase. An ideal is worn, not to appear, but to be yourself. Not to imitate or look like someone else, but to better the world in which we live. Choose them if you don’t want chemical substances on you skin. If you respect water, the earth and your health. If you don’t appreciate the false competition that sacks the Italian workers and turns the Asians into slaves. Ecogeco isn't “programmed to self-destroy” and next year you won’t have to buy a new pair: to be honest we won’t be losing out if, in exchange, you will recommend us to a friend. Blue jeans means “ Genoa blue”: the robust but soft fabric brought to America by the sailors of Genoa. The homeland of brand jeans was in Italy: in the 50 kilometers range around Padua and Rovigo which until a few years ago was the production district of famous brands. Some workshops have endured, and professional expertise is still available. What was missing was a simple idea like ours: manufacture jeans today like in the past without saving on workmanship and materials. 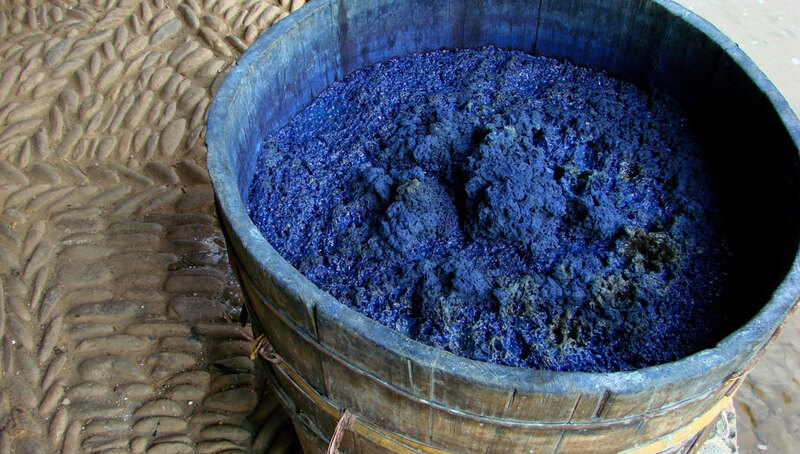 The organic cotton flakes are first spun and then dyed in blue using only pure vegetable indigo. The denim is then weaved, leaving the weft in its natural colour and warped blue. 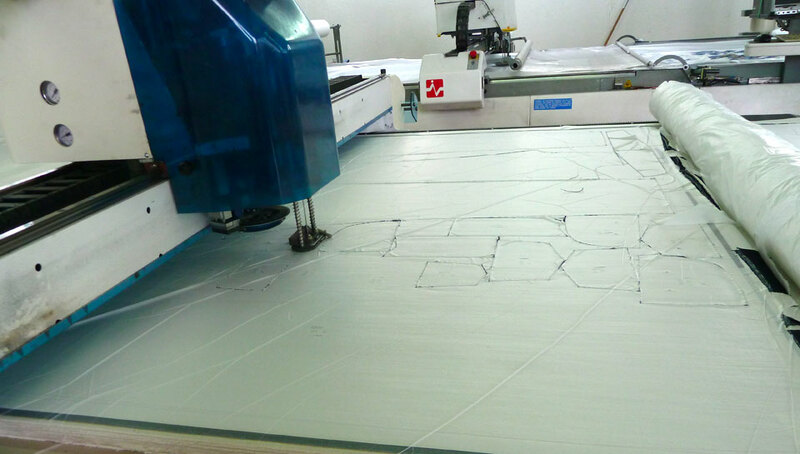 We cut the denim with digital programs that reduce waste products even with small scale productions. 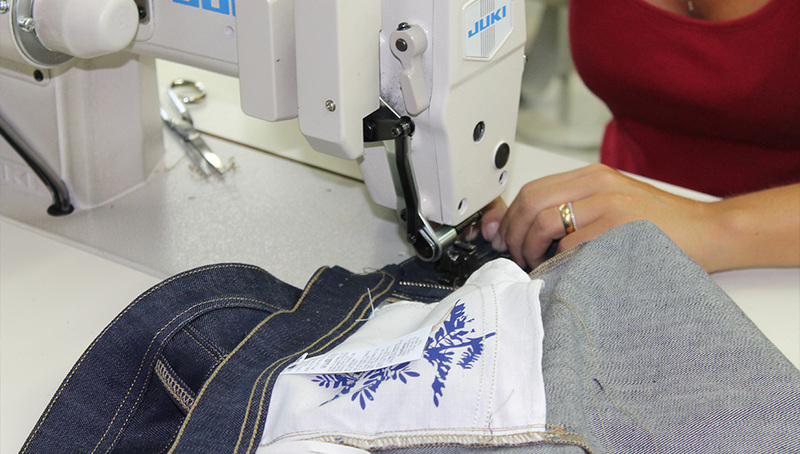 Then the jeans are sewn by companies in the Veneto area by regularly employed personnel. The washing treatment is done using only ecological products and treaments. You won’t find them in any store, to sell Ecogeco you have to really believe in the values we pursue. If you want to purchase our jeans, know at which fairs we will be participating at, come to meet us, stay in contact with us. EcoGeco brand, specialized in the production of women/men jeans in organic cotton dyed with vegetable indigo originated in 2010 thanks to the idea of Claudia Lubrano and Giampaolo Bianchi, experts of the textile sector. 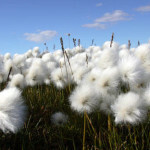 We have been working in the clothes business for over thirty years as sales agents and have always been active and sensitive towards environmental themes. 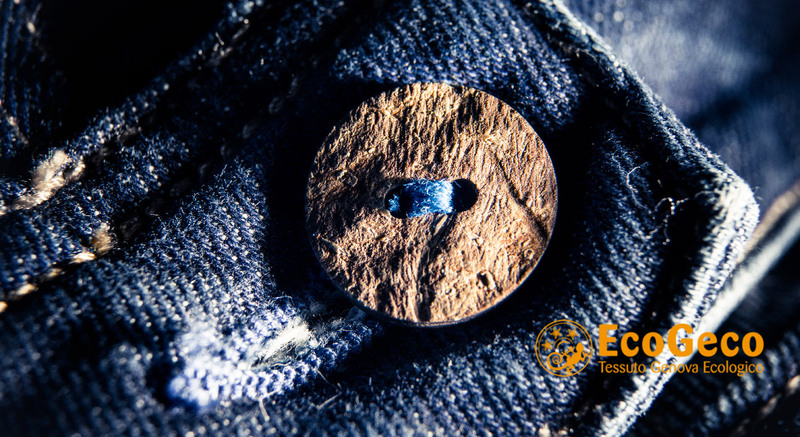 The certainty that what we wear is as important as what we eat, convinced us in the second half of 2009 to invest in the production of eco-friendly jeans. 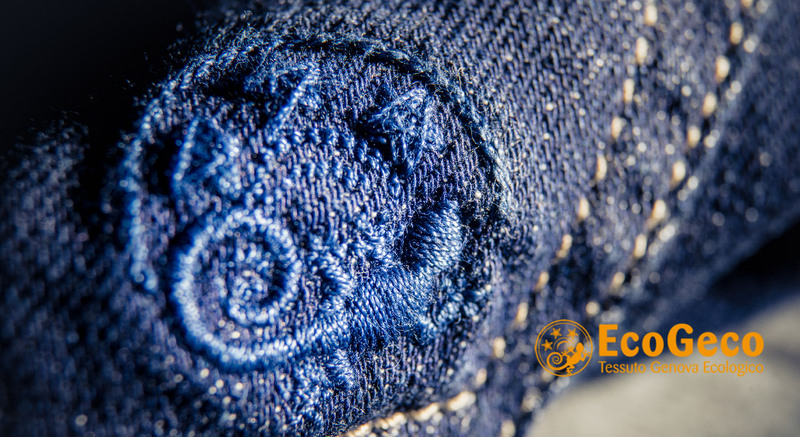 Jeans nowadays are a very polluting and globalized product, often imbued of chemical substances in contact with our skin. We often forget that jeans are a symbol of freedom, the second skin of who wants a better world so we have decided to make them become a reality. Besides organic cotton, we have chosen to use vegetable indigo dye, one of the most ancient pigments, obtained from the maceration of indigofera tinctoria that confers a shade of colour which distinguishes it from chemical dyes both for its brightness and intensity. 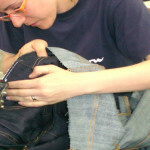 We want to propose an idea of quality that combines environmental and ethical aspects, promoting through our local production, a sustainable product, both from the environmental and social point of view, by recovering and improving the productive know how that distinguishes the Venetian area in the production of jeans. We use cotton that comes from organic cultivations dyed with vegetable indigo that holds the Gots certification. We pay great attention also in the laundry treatment, respecting the environment and using ecological processing and/or products. All applied accessories are animal free. Furthermore, the productive chain is carefully selected and controlled by experts of a sector that has been at the top of the Italian economy, contributing to affirm the made in Italy worldwide. The samples are carefully studied to give maximum comfort in wearability, two for women (Altair and Kochab) and two for men (Genel and Thabit) and are well finished in the minimum details to offer comfortable jeans, beautiful ,seductive and fit for any occasion or age. 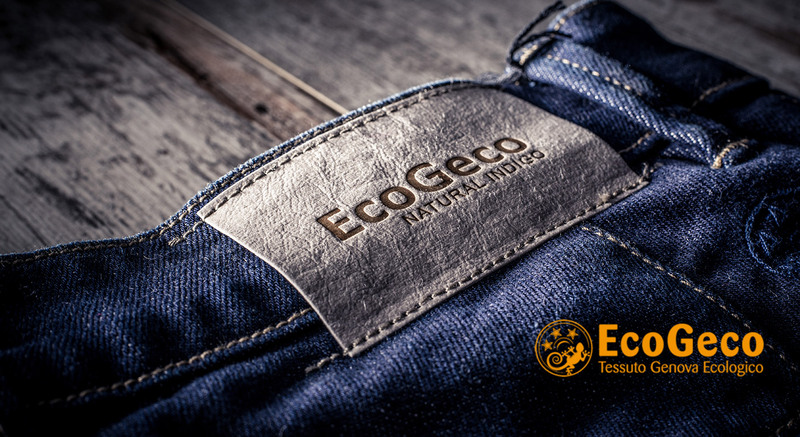 The emblem of our product is the gecko (in Italian Geco), a tiny harmless animal that lives in harmony with nature just like EcoGeco jeans. 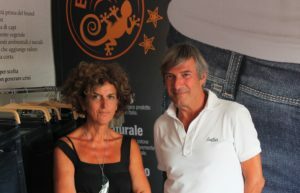 May 2012 EcoGeco, the Venetian jeans in organic cotton zero km received the Città Impresa Prize, an important acknowledgment promoted in the fifth edition of the Festival with the same name that wanted to reward the green thinking of the territory. January 2013 EcoGeco is among the 20 realities included by Symbola (Foundation for Italian Quality) in the publication of “Voyage in the Quality of Veneto” – BQI Bank of Italian Quality. design by smarketing° - from a wordpress Woo theme.